Did you know that having poor alignment may prevent you from thoroughly brushing and flossing your teeth? 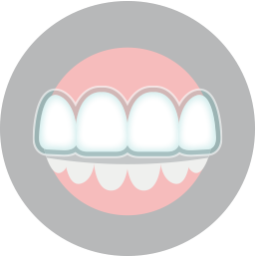 When teeth overlap, this provides hiding places for food particles to become trapped. When brushing and flossing fails to remove these bits of food, bacteria break them down. In the process, the risk of tooth decay and gum disease increases significantly, further harming your overall oral health. When you correct your misalignment, you can practice better oral hygiene and protect your teeth and gums. Over time, this means better oral health, preserving your natural teeth and your facial structure. Our jaw joints control the movement needed to eat and speak. When these joints undergo excessive strain due to misalignment or bite imbalance, this could lead to serious complications. People may suffer from TMJ disorder, in which opening and closing the mouth becomes difficult. Bruxism could also occur. With bruxism, patients grind their teeth or clench their jaw, which wears down tooth enamel and damages teeth. Both disorders may lead to headaches, jaw pain, tooth decay and infection, and pain in the neck or face. However, addressing your uneven smile helps reduce pressure on the jaw joints and protects the health and comfort of your smile. We suggest an initial exam at around age seven. We then assess the risks of misalignment and may begin treatment to reduce the severity of poor alignment, limiting how much time a child will need to wear braces or aligners in their teen and adult years. For children, we may suggest interceptive orthodontics, such as retainers and teeth spacers. For teens, we may suggest tooth-colored brackets for nearly invisible braces, or Invisalign® aligners made from a clear plastic material. 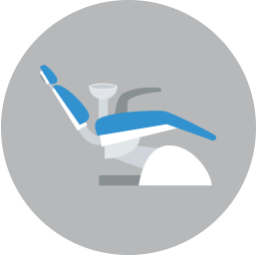 These options help improve the alignment of your teeth and protect your overall oral health. If you have any questions about improving your smile’s health and appearance, then contact our team today. Correcting your uneven smile could mean better oral health and a more beautiful smile. To schedule your consultation and learn more about our orthodontic treatment options, please call Lake Country Orthodontics in Fort Worth, TX at (817) 236-7846. Our office proudly serves patients who live in Rome, Haslet, Azle, and all surrounding communities.